There are a lot of types of wooden sheathing in the house. It can be wooden planks, beadboarding, wainsoting and other options. 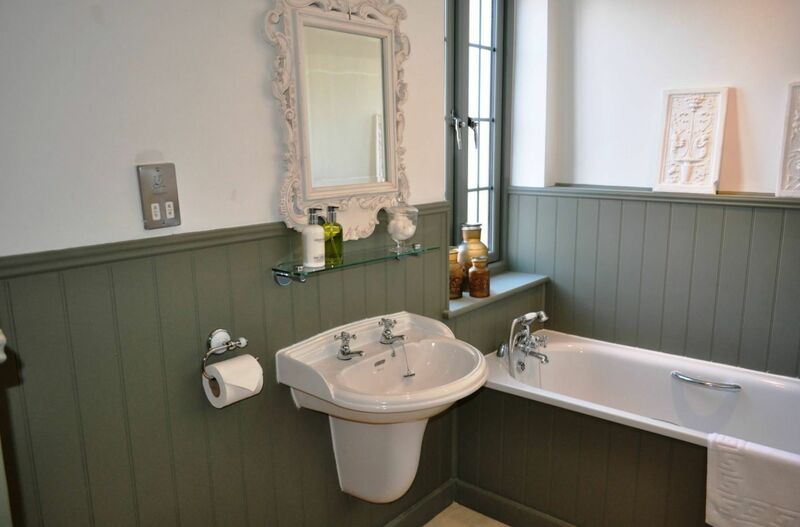 But what the difference between these wall coatings and why wainscoting is the most popular for bathrooms? 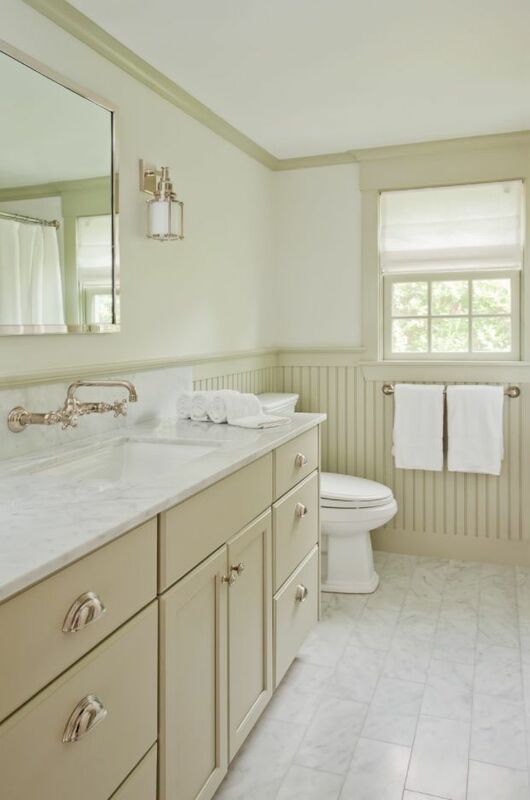 We should answer this questions and review some of the most noteworthy examples of bathroom with wainscoting design ideas in real-life interiors. First, let us define what is wainscoting not to refuse it with other terms in covering walls with wood. The common sense of the “wainscoting” is the covering the wall with wooden sheets or planks in order to save it from water, pollution and to give decorated view to the interior. The essential parts of the wainsocting are the top and bottom rails, wooden front sheets and two side pieces (stiles). The beadboard the wooden sheets that can be used for wainscoting. They can be wooden, PVC of MDF made. So, it is a material type which helps on wainscoting the room. But it is not the only way to implement wainscoting. There iare different types of this method like raised-panel wainscoting, flat-panel, board-and-batten etc. They all differ only by the type of the plates which carry out the wall covering. 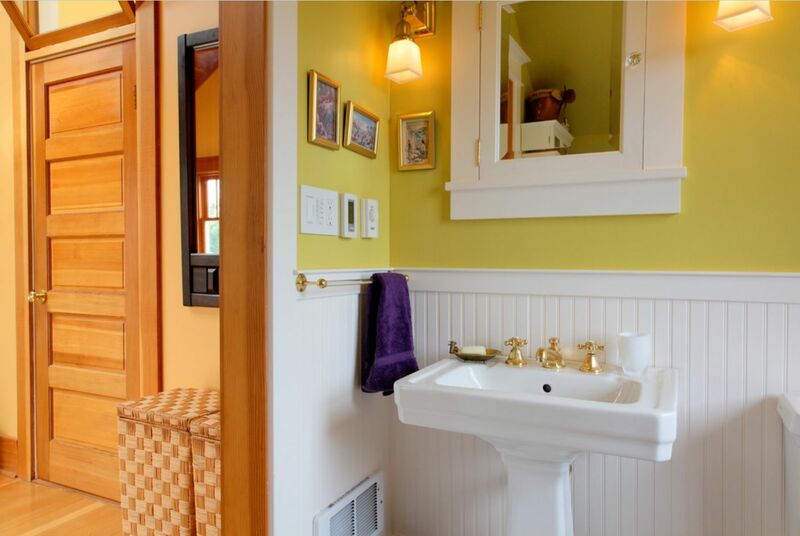 We will not plunge deep into the nuances of each type of wainscoting. Instead, we better see the results of this design technique in real interiors. Nobody argue that most acceptable interior design style for such covering is Classic. American or English classic interiors look really organic with this type of sheathing. This is partially because the wainscoting is very ancient. It aesthetically formed in XVIII century as the covering for the bottom part of the wall. Recently, it can be rarely found in living rooms and bedrooms. But it is the almost a must for bathrooms. 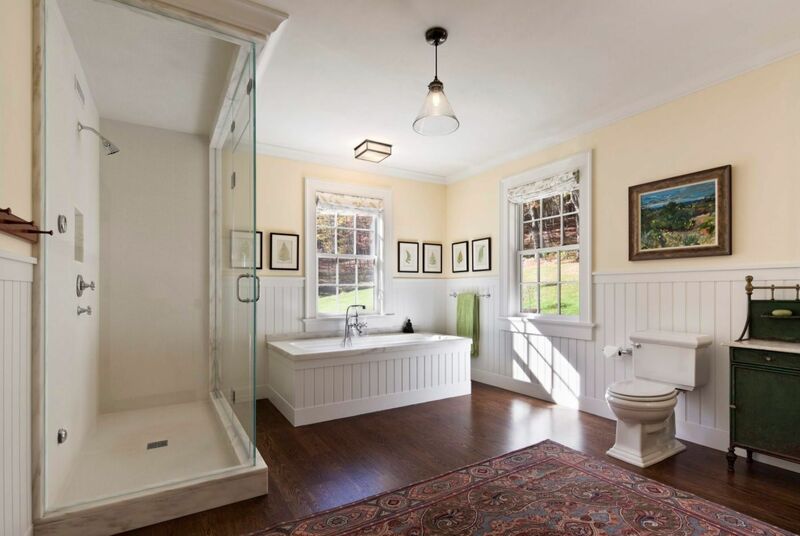 Especially classic styled bathrooms in private houses. 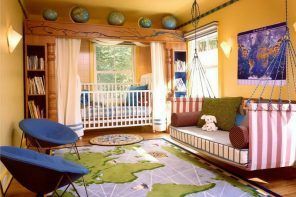 In order to revive the interior with wainscoting, the widespread solution is to take colored sheets. Indeed, it gives splendid effect. 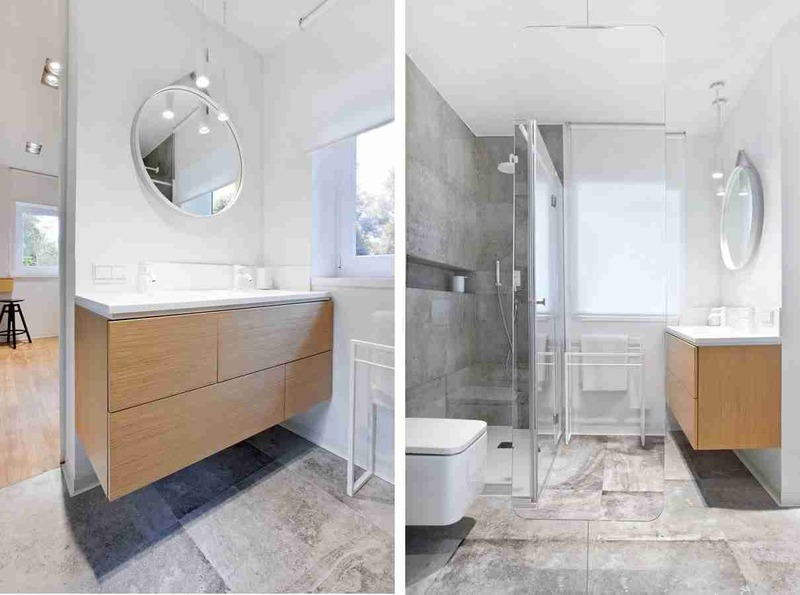 Also, it gives the possibility to choose same color for the tiling of shower or bathtub zone, make accents in this color. Or the wall may also be colorful, creating a set off. 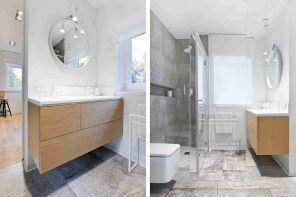 Such technique will help you to not only make the bathroom joyful, but also to emphasize some logical zones or elements in it. But Classic is not the only way to apply the wainscoting. 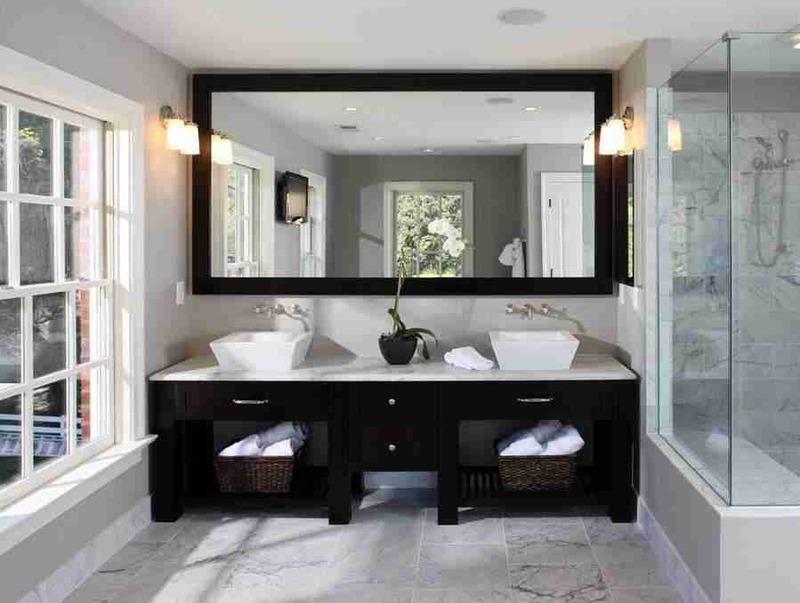 It is also a welcome guest in the bathrooms that are transitional to the Modern style. Of course, it is very unusual to see the wainscoting in the hi-tech or futuristic interiors. 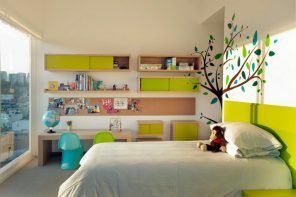 However, it becomes succesful compliment to many interiors with touch of Modernity. As you can see, the wainscoting is up to combination with any finishing materials starting from the tile, wallpaper, paint and ending the list with marble or stone surfaces. 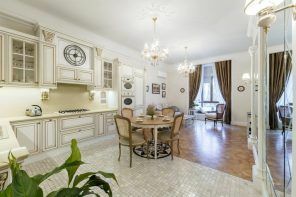 Italian style in the interior (many designers consider it the main concept influenced the Mediterranean style) absorbed the warm sunny tones of the peninsula….